A solid-state high voltage pulse modulator that is suitable for a wide range of applications including plasma processes, PEF (pulsed electric fields) ion implantation, and driving RF tubes is available from Diversified Technologies, Inc. of Bedford, Massachusetts. 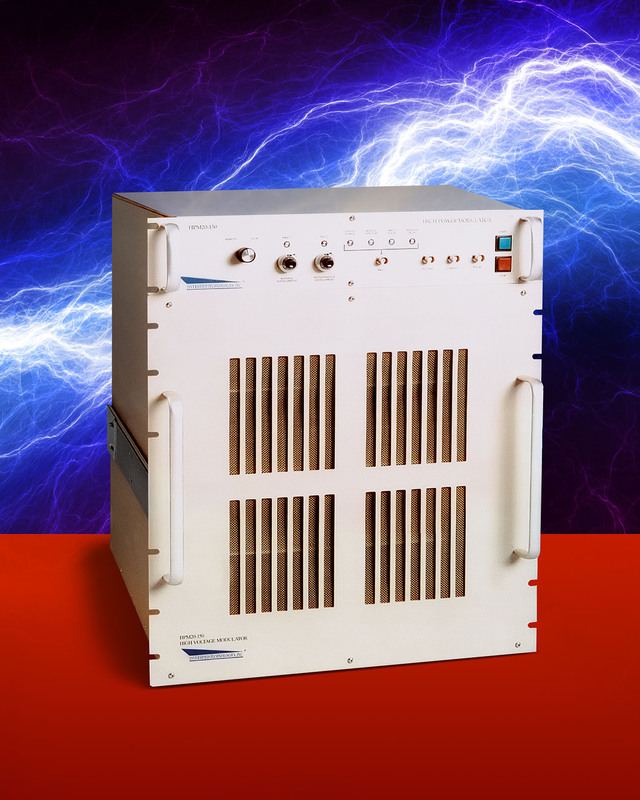 The PowerMod™ HVPM Series Solid-State Modulator delivers 99% efficiency and lets users easily control pulses from 1 – 30 kV, with 1 µS to mS pulses, up to 30 kHz nominal pulse frequency, and currents to 500 Amps. Featuring simple controls, this modulator is essentially a utility that is well suited for a wide range of research and small industrial applications. Powered by 110 VAC and 19” rack mountable, the PowerMod™ HVPM Series Solid-State Modulator is air insulated and water cooled. An ideal replace-ment for thyratrons and switch tubes, this pulse modulator provides full internal self-protection against over-voltage and over-current conditions. PowerMod™ HVPM Series Solid-State Modulators are priced from $49,900.00, depending upon configuration. Price quotations are available upon request.